On January 6th, the Feast of the Epiphany, we celebrated the First Profession of one of our Georgia Peaches. Sister Helene Therese! Let us rejoice and be glad! Sister’s family was able to join us for the celebration and our Chaplain Rev. Donald Kinney, O.C.D., a fellow Georgian, officiated. 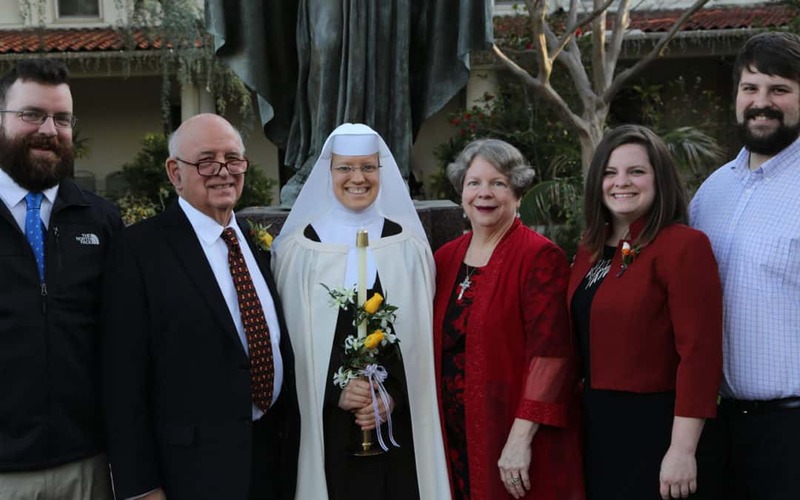 Please unite with us in thanking our Lord for His goodness to our dear Sister and to all of us!